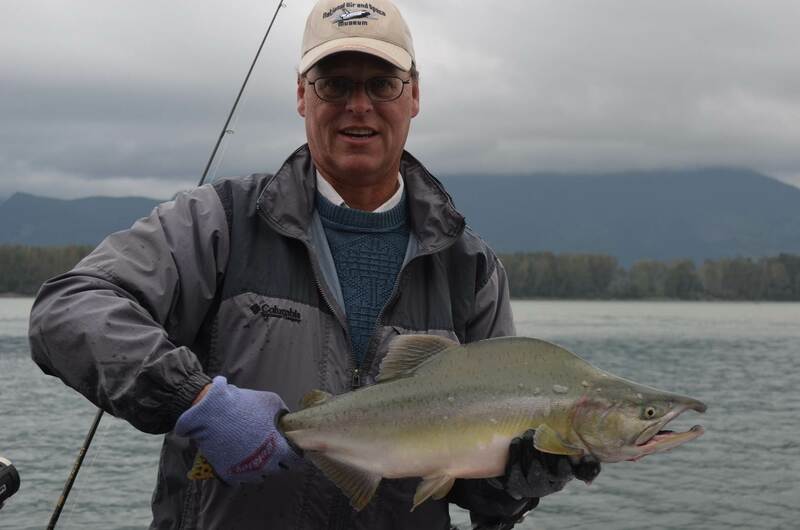 Fishing this past week has been excellent, lot of Pink Salmon in the Fraser, Sturgeon fishing has been above average and some Coho and Chinook are starting to show up in the Fraser and Vedder River. 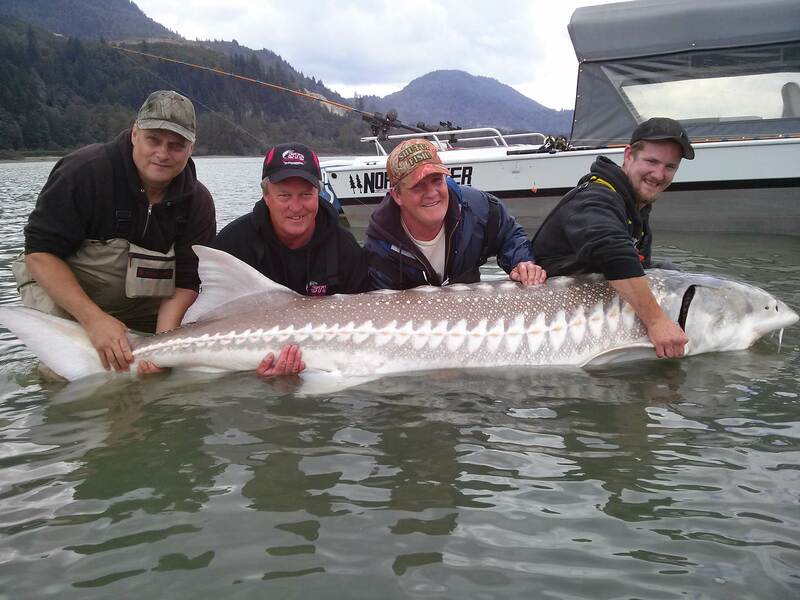 Sturgeon Fishing remains excellent, still lots of fish around, but it is getting a bit harder to find the big ones as they are getting full. Salmon eggs seemed to be the ticket this week but we are still getting fish on belly strips and gills. Lots of floaters on the water so you might start to see a switch to stink bait in the next week or so. 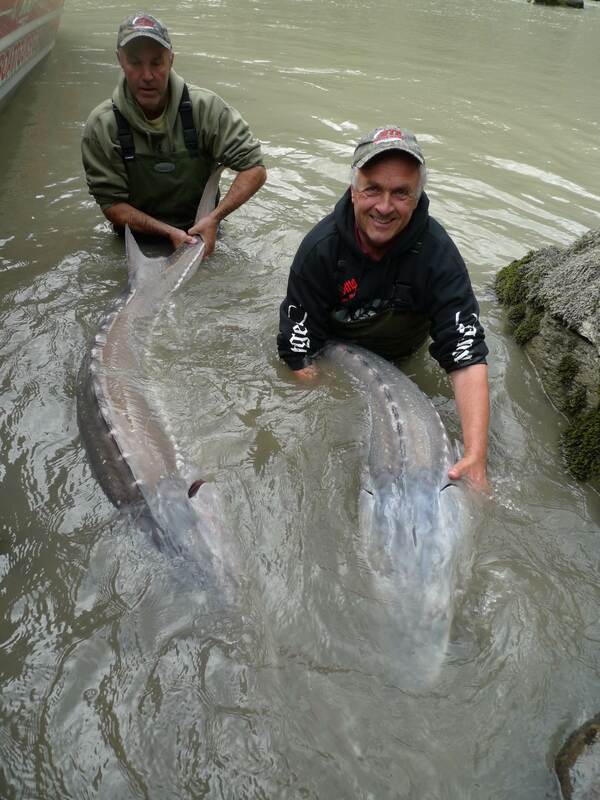 Sturgeon fishing should remain good until late November so give us a call and get out on the water. Double header with Tony and Neil visiting us for the 4th year in a row from Uk, nice way to end a 7 day trip. Salmon fishing remains very good for Pink salmon, these fish can be caught using fly, spoons or spinners. The confluence of the Sumas Canal; has a good fresh push of fish with each high tide, as you move further up river, quality of fish starts to decline. My favorite spoon is the Gibbs/Delta Ultra Lure in Pink with chartruses stripe. Coho are starting to show up in the Vedder and other local streams, as each day passes more Coho and Chinook are being caught on the Fraser mainstem and tributaries like Sumas, Vedder and Chehalis rivers. 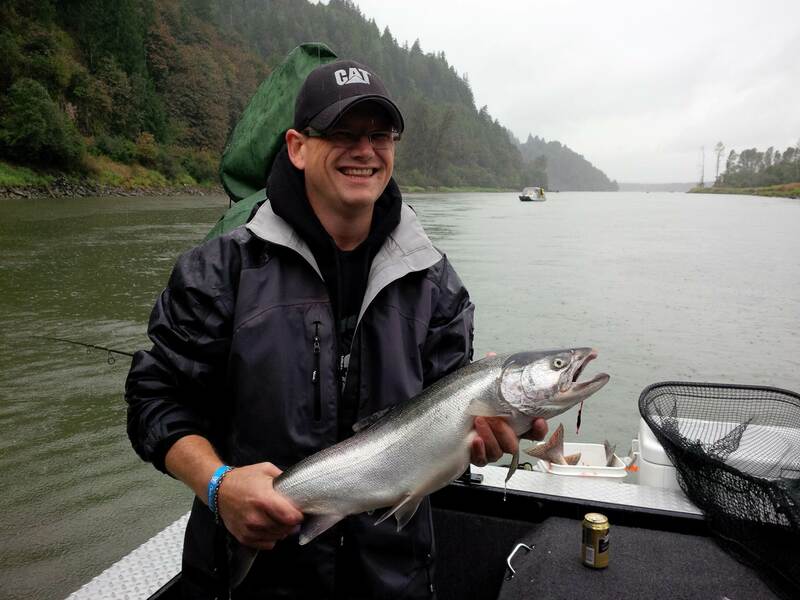 Here is a noce hatchery Coho caught yesterday fishing the Sumas Canal, nice fish Jeremy. 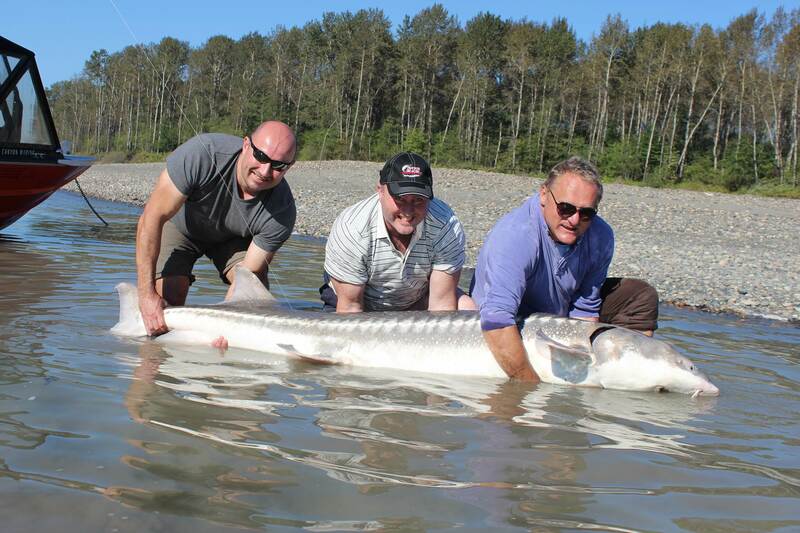 This great fishing should continue through to the end of November , we still have lots of good dates in October so shoot us an e-mail or give me a call if you would like to fish with us for one of the best years we have seen in a while. 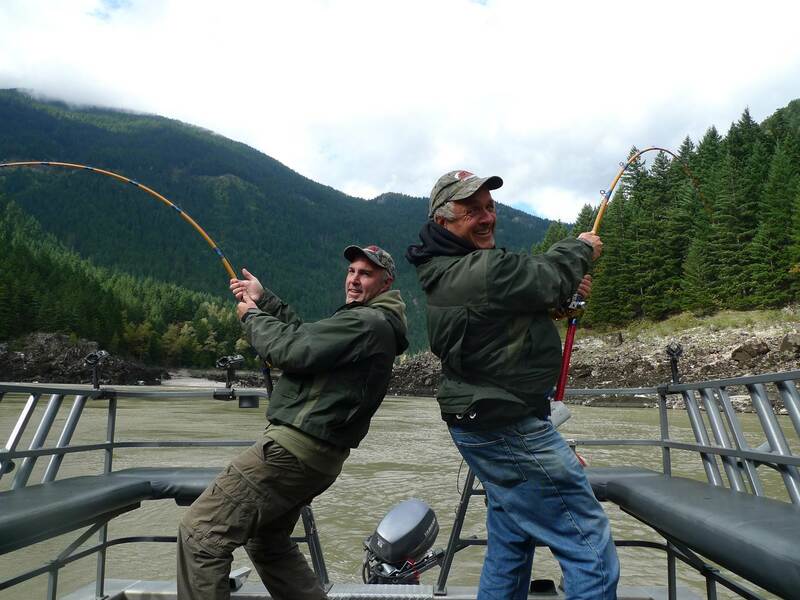 You are currently reading Sept 24th Update at Hells Gate Jet Boat Tours Blog.